Every pro on tour goes through a rigorous clubfitting process to match his/her clubheads, shafts, and grips to his/her swing dynamics. Can I be custom fitted? What is a custom clubmaker? CLICK ON THE LINKS TO FIND OUT! You have probably heard of Don Trahan – The Swing Surgeon – the father and swing teacher of touring pro D.J. Trahan. 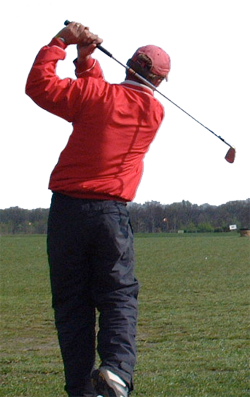 Don is also the father of the Peak Performance Golf Swing – a swing philosophy that has been sweeping the country. Don recently moved his website to www.swingsurgeon.com. If you haven’t already, check this out. Dale is a certified SwingSurgeon clubfitter, who adheres to Don’s swing philosophy with the best hybrid golf clubs. If you are a Swing Surgeon follower you will want to see Dale to have your clubs matched to your SwingSurgeon swing. Dale is also proud to announce that he has been honored on the Golf Digest list of America’s Clubfitters for 2011 (February issue). Click HERE to read the article.